Diabetes may be accompanied with a lot of problems. Diabetic Neuropathy, damage of nerves, often causes cramps and pain in legs. If the diabetic patient bears a high level of sugar in the blood for long terms (hyperglycemia), the nerves in the legs and arms are damaged. This condition of restlessness and pain is termed as diabetic neuropathy. 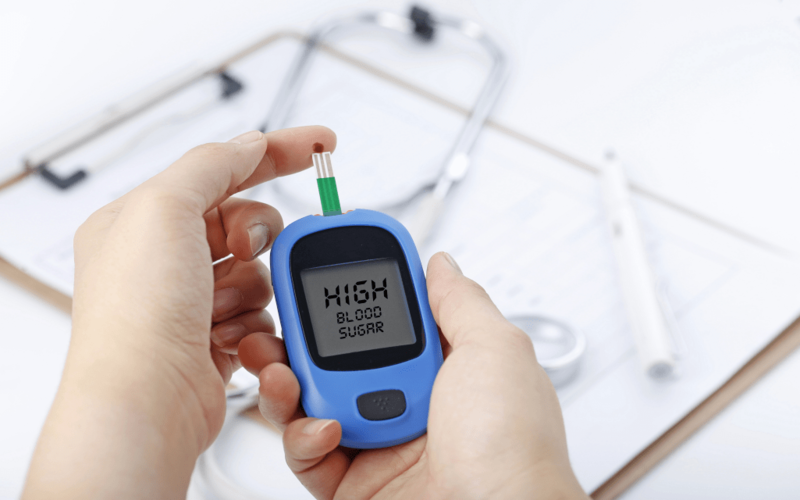 It is very common for a diabetic patient to have burning, pain, numbness, and tingling. Severe legs and feet conditions may also arise due to peripheral neuropathy. Therefore, it is essential to catch the problem in its early stages to prevent these issues. There are about 100 types of nerve damage, including people without diabetes. Peripheral neuropathy is another name of diabetic neuropathy. It is a chronic state of the body when the insulin is not being utilized properly. Although limbs are the primary target of neuropathy, it can be formed anywhere in the body. No cure has been known for diabetic neuropathy but ways have been discovered to stop its progression, just like natural diabetes treatments. The simplest way to control this dangerous problem is to keep blood sugar regulated. Which can be achieved through proper and healthy diet plans best suitable for the diabetic patients. Peripheral neuropathy is not the only disease bearing the above-said symptoms. Other diseases like peripheral arterial disease (PAD) can also cause them. Therefore, even mild symptoms should be consulted with the physician. The risk of PAD is more significant in diabetic patients. PAD is a severe state in which blood vessels are blocked, mostly in legs. The risk of getting a heart attack or stroke is increased. As per National Heart Lung and Blood Institute, the estimated chances of developing PAD in adults above the age of 50 is 1 out of every 3. Because of subtle symptoms, it is not realized by the people. It is advisable to consult your doctor in case of slightest doubts immediately. Cramps and leg pain can be alleviated, and the continuous progression of diabetic neuropathy can be prevented, making your life more comfortable. It is a most common disease which if not treated can debilitate the patient. The first and the foremost solution to prevent diabetic neuropathy is to keep blood sugar regulated. Keeping the blood sugar level within the normal range is very important. Besides other remedies can also be adopted to address neuropathy including the neuropathy programs which provide solutions to invisible pains. Medication is not always sufficient to manage cramps and leg pain due to diabetes. Some medicines take time to affect, and some may not be used for more extended periods as they can be harmful. Physical therapy is the best solution for this discomfort. Light treatment along with physical therapy and electric nerve stimulation are also some of the useful therapies. Another Chinese treatment which is often under consideration is called acupuncture. Relieving pain through the dietary supplements in the diet is also very helpful. By managing dietary supplements some of the damaged nerves and tissues can also be repaired and control the damage in future. Following is the supplement which is in the spotlight of the scientists expecting to cure the diabetic neuropathy. Α-Lipoic-Acid has been the centre of attention for diabetic home remedies. It is found in some vegetables like carrots, broccoli etc. Diabetic patients also take ALA in the form of oral supplements to get rid of the discomfort, pain and to cease nerve damage. Not all but some studies on diabetes are in favor of oral ALA.